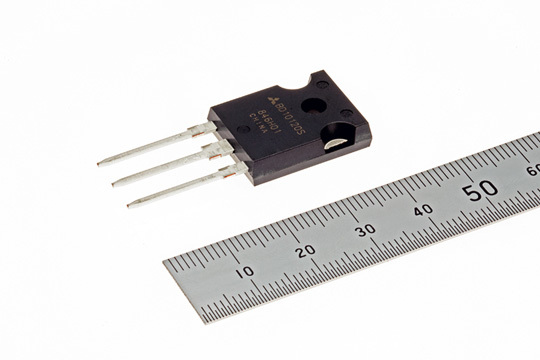 Mitsubishi Electric Corporation announced today its launch of a new 1200V silicon-carbide Schottky-barrier diode (SiC-SBD) that reduces the power loss and physical size of power supply systems for infrastructure, photovoltaic power systems and more. Sample shipments will start in June 2019 and sales will begin in January 2020. 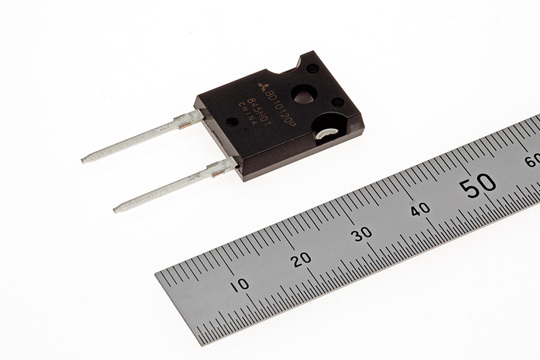 • The TO-247-2 package, with its enlarged insulation clearance distance, joins the existing TO-247 package to cover a wide range of applications, including consumer goods.